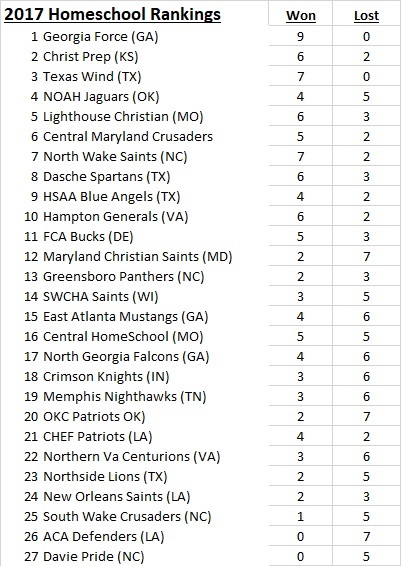 NHFA Football Rankings take into consideration strength of schedule, who you play, scores, wins and losses, as well as some other factors. 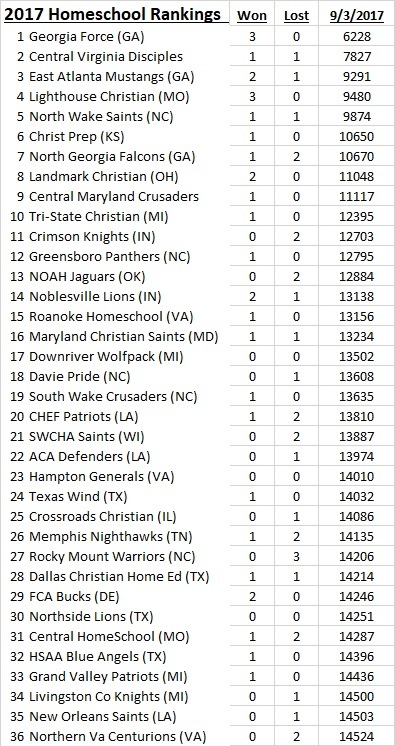 Maxpreps.com does a good job of ranking teams however, teams don’t always posts their info/scores on maxpreps and maxpreps has some built in data that skews their rankings so it’s not as accurate as it could be if every team posted their info/scores on a timely basis. 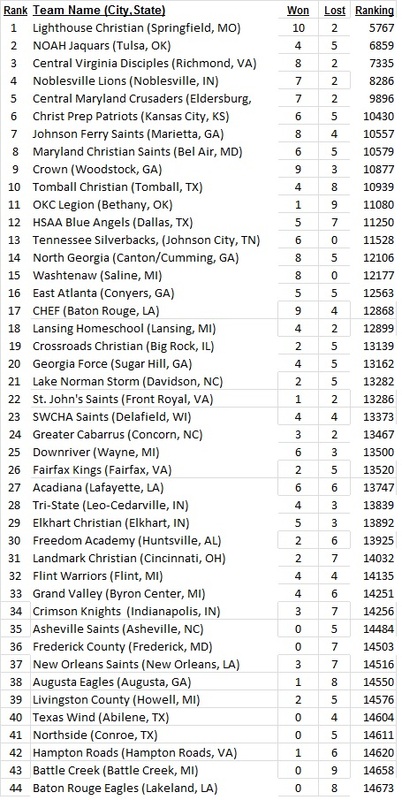 All that to say that our rankings and maxpreps are not anywhere near perfect, but are like the college ranking system and the voting “polls” on the news. 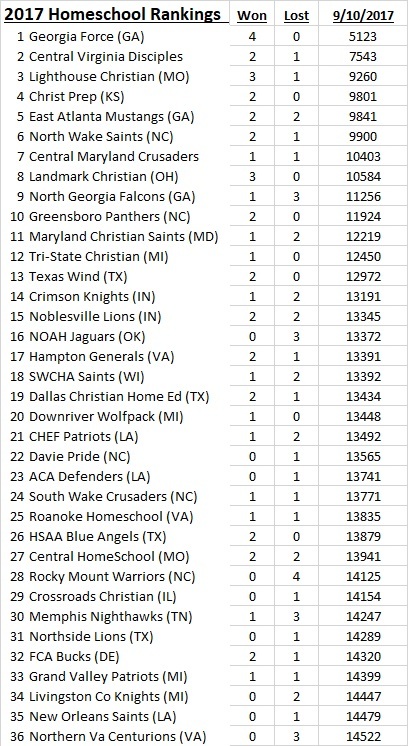 W-L as of 9/22, Rankings as of 9/19. 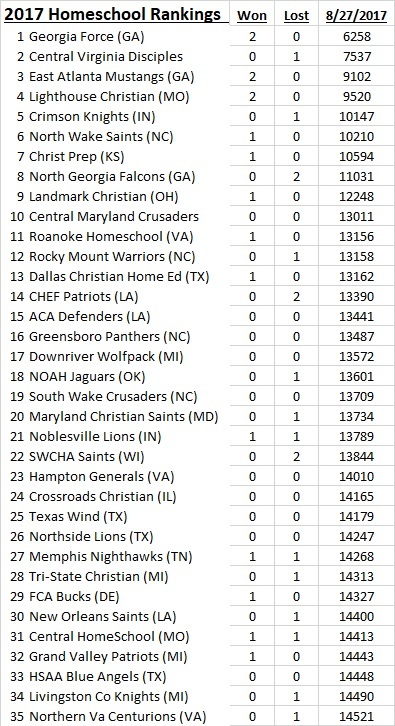 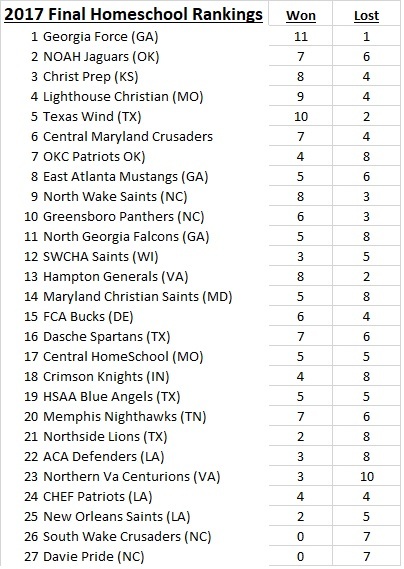 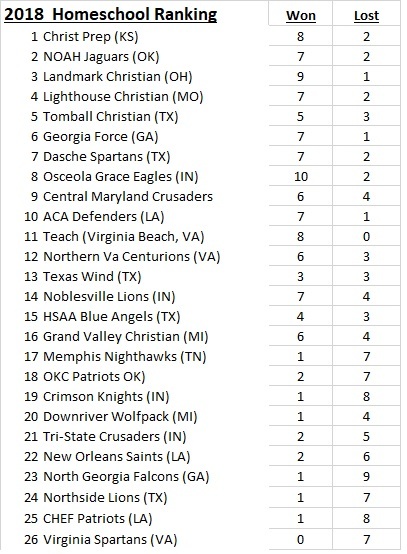 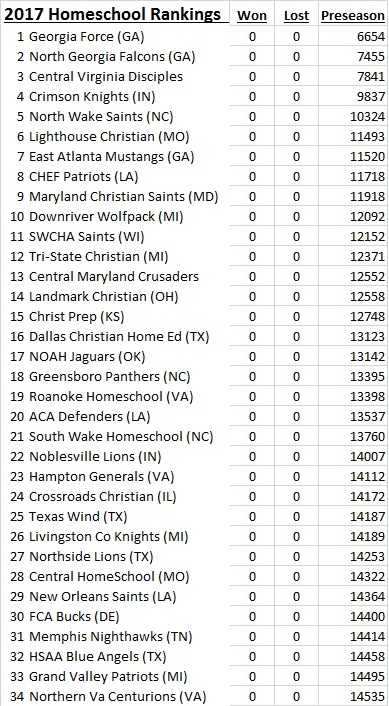 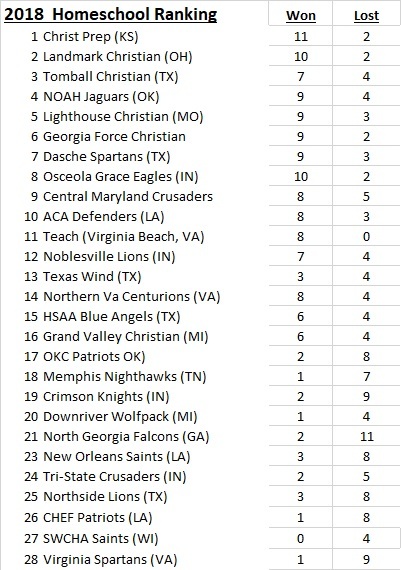 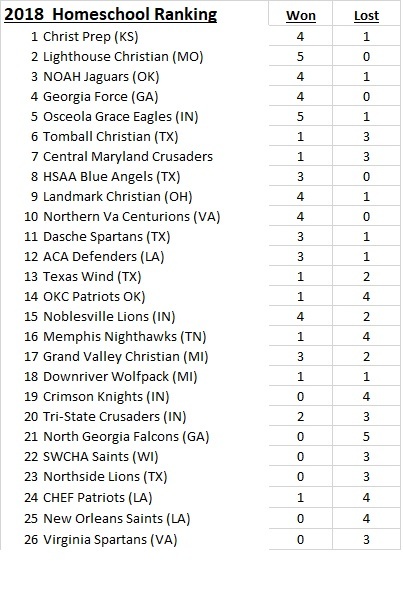 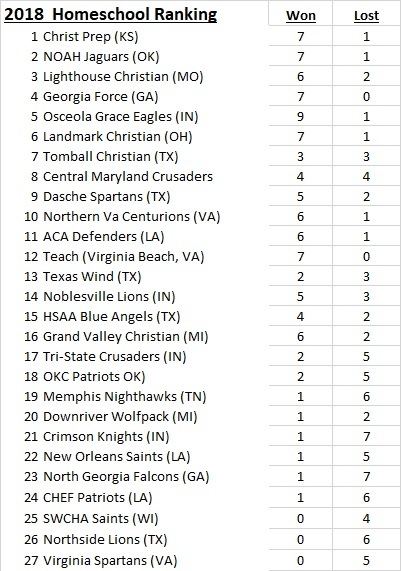 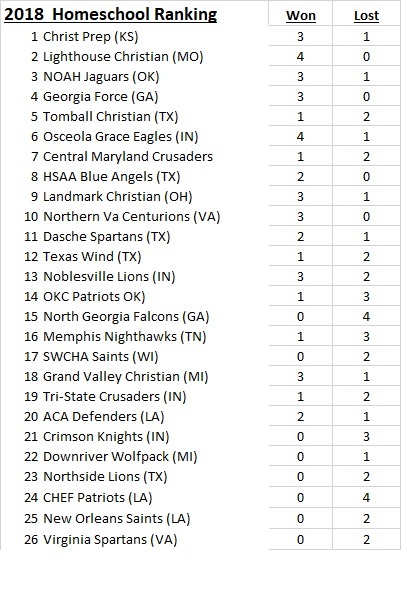 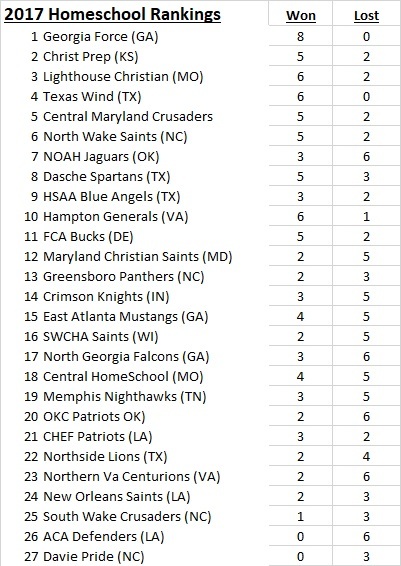 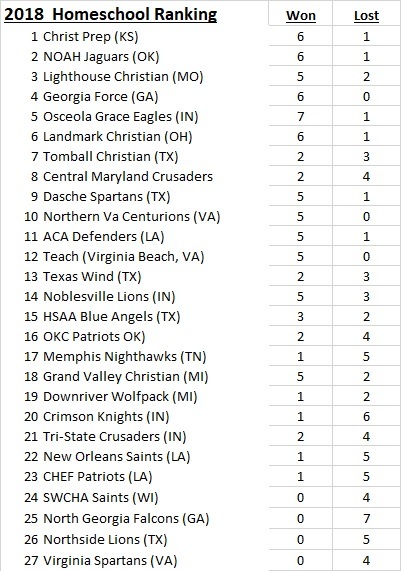 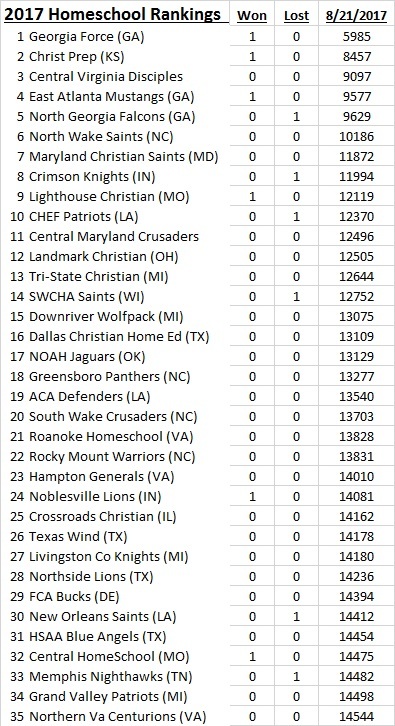 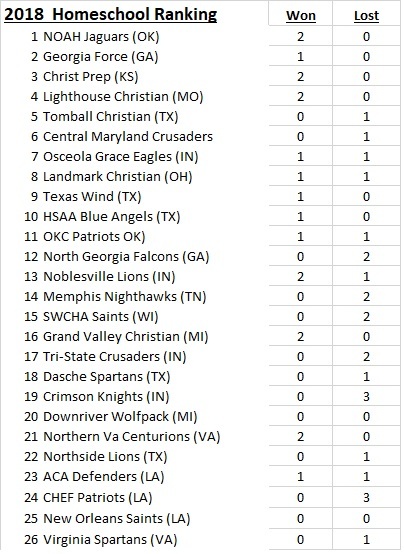 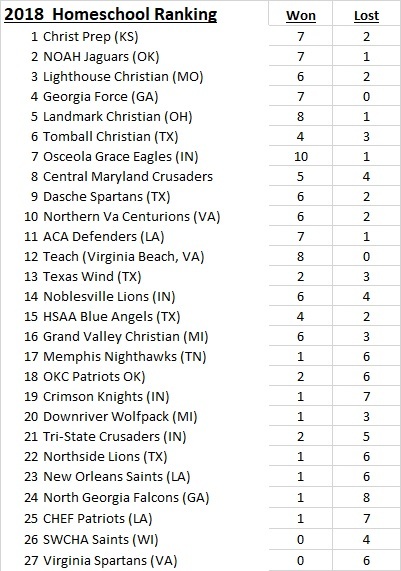 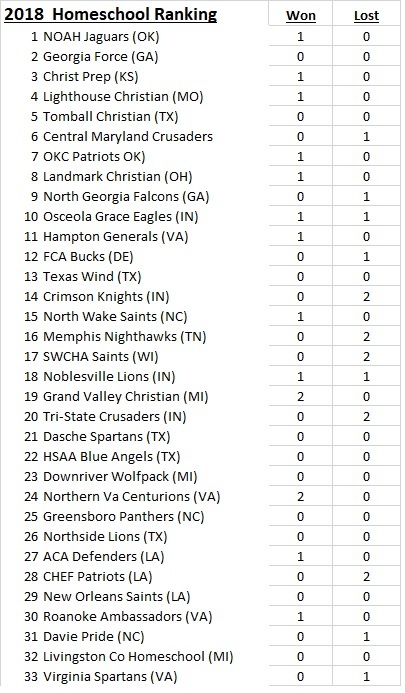 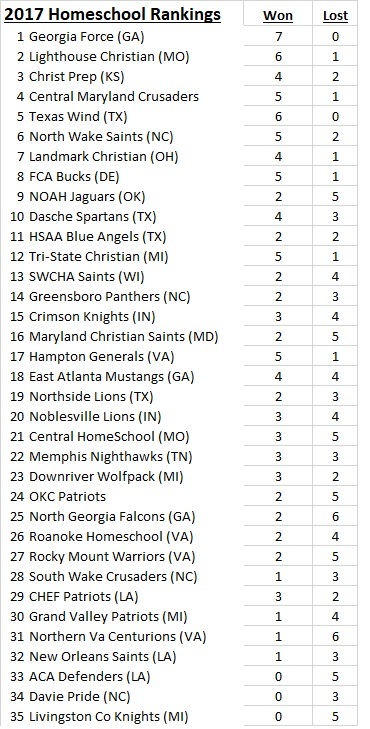 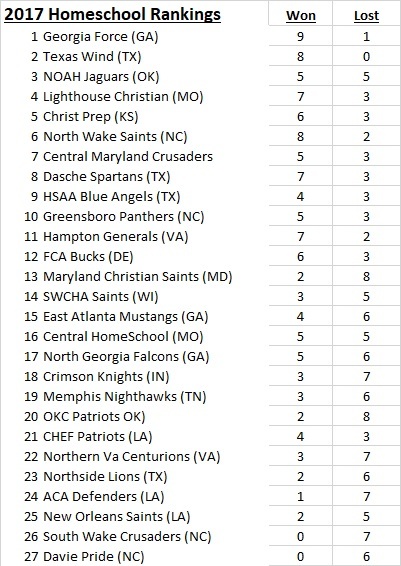 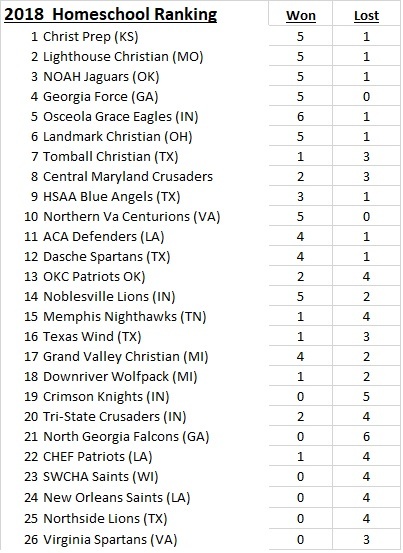 (The first column ranks only 11-man Homeschool teams, the overall rank is all 11-man High School teams (public, private and homeschool).